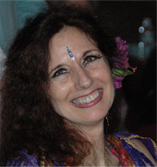 Dhyanis has taught, performed and studied belly dance for over 30 years. In the 80's she travelled and performed internationally throughout Europe, Greece, Morocco, Egypt, Israel & Turkey. She specializes in ?Double Sword? and ?7 Veils.? 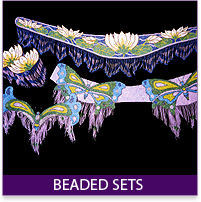 In 2003, she won Grand Dancer of the Year and her troupe won Troupe of the Year. Many of her students (including children) have become strong professionals in the field. Dhyanis is also a well-known, award-winning theatrical costume designer with her own line of clothing and dance costumes. 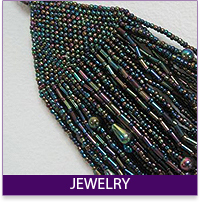 She travels nationally to belly dance events to vend, dance and introduce new customers to Divine Design by Dhyanis. Dhyanis designs and produces each item of clothing she sells, from purchasing unique fabrics to cutting patterns, dying fringe and sewing it all together. 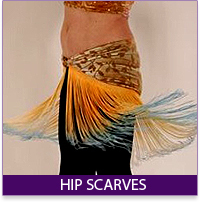 From comfortable tops that move as dancers to beautiful matched hip scarf and top sets; from unique gypsy skirts to flattering stretch velvet leggings and flared dance pants, each item is one-of a kind, hand made by Dhyanis in Novato CA. 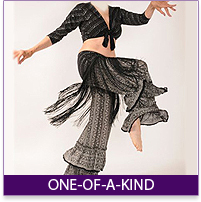 She leads Troupe Dhyanis, a performing group of 8 dancers and is responsible for original choreography and costuming. 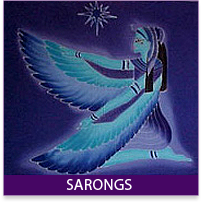 She leads workshops in Dancing Goddess Imagery and produced the Annual Summer Solstice Living Goddess Dance-Theater, 1992-2005.